"Some forest animals will experience their first winter but everyone is in a good mood and enjoys wholeheartedly all moments." 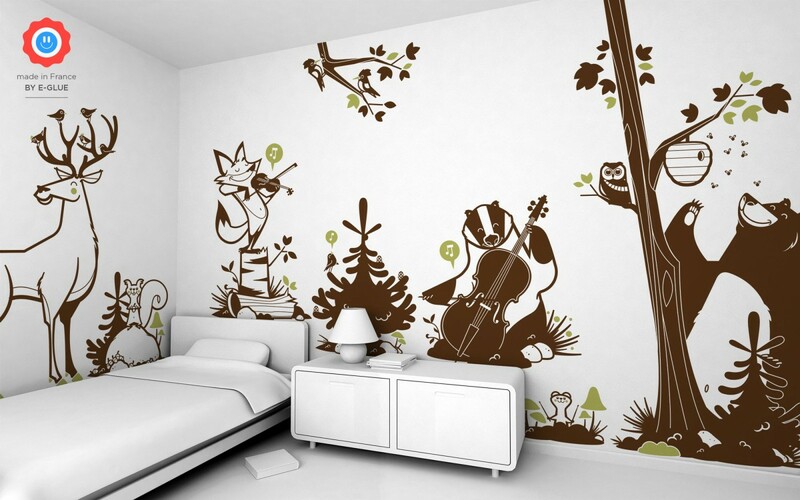 The Forest Animals theme is such a cool kid’s room decor ! E-Glue wall stickers allow you to easily create an enchanted forest room with adorable and original woodland animals : wall decals Bear, Deer, Fox, Squirrel, Owl for a soft but full of life decorations in any child’s bedroom or baby nursery. For example, see below a wall decal Fox (brown and oasis) applied on a light grey wall.